In this guide we will talk you through how to set up a VPN with an Android TV box or Kodi box, which is the best VPN to use and why you should be using one. We’ll also cover some of the privacy and security concerns Kodi users should be aware of. Kodi is a free, open source software package that allows you to quickly and easily set up a home media center. It’s incredibly versatile, capable of running on a diverse range of devices including PC, USB flash drive, iPhone, Roku, Apple TV, Raspberry Pi, Amazon Fire TV, and Firestick. This versatility and ease of setup has led to hardware with preconfigured Kodi installations (known as Kodi boxes) being sold. While these boxes are simple to set up, they do not automatically keep your browsing habits private. In this article, we’ll be showing you how to install a virtual private network (VPN) on your Android TV or Kodi box. This will allow you to browse content free from any outside interference and may even improve your streaming experience for reasons we’ll cover later. However, with the negative press attention Kodi, and indeed most unorthodox streaming devices have been receiving recently, many people assume that the software isn’t legal to use. The truth is that while Kodi and Android TV boxes are completely legal, some of the third-party plugins provide unrestricted access to licensed content. We encourage our readers to study their country’s laws regarding streaming content online before attempting to use Kodi or Android TV boxes. Which VPN should you use? There are many VPN services available, but not all of them are created equal. Some use stronger encryption than others, some keep no logs of your internet traffic history, and some pride themselves on their high network speeds. It isn’t difficult to find a free VPN service, but we highly recommend that our users do not install them. Free VPNs have to be making money in some way, be it selling your data to third parties or worse, selling your bandwidth and potentially implicating you in cyberattacks. 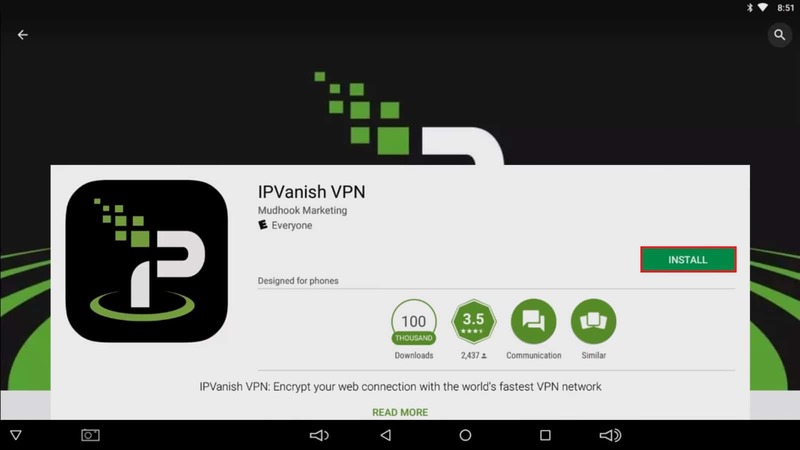 In the past, several popular free VPNs on the Google Play store have been found to contain malware, so it’s important that you thoroughly research a VPN before you install it. There are a few Kodi addons which let you install a VPN directly. However, these come with several problems of their own. Firstly, they only protect you within Kodi and won’t anonymize your traffic when you’re browsing the internet. Secondly, these require you to install additional software which may not be easily available on Android. Finally, these addons are generally located in repositories without a large following. This means that if the addon were to be hijacked, there would be a very limited pool of credible sources to let you know. For the reasons above, we do not recommend that Kodi users install a dedicated VPN addon. We recommend using IPVanish. It’s an inexpensive VPN that works with every Kodi addon we’ve ever tested, and it comes with a dedicated Android app. It’s also the only major VPN that can be found in the Amazon Firestick and Fire TV’s default app store, so it truly offers cross platform protection. Unlike most VPN services, IPVanish builds and maintains their own server infrastructure. This allows them to provide a stable network connection that maintains the high speeds you’ll need in order to enjoy the content that your Kodi or Android TV box offers. They also value their customers’ privacy very highly and don’t keep logs of your browsing history. Reader deal: save up to 60% on an IPVanish plans here. This includes a 7 day money-back guarantee so you can try it risk free. There’s currently no simple and effective way to install a VPN directly from within Kodi, but it’s actually a fairly straightforward process to keep your device protected if you have one of the more popular VPN services. We’ve reviewed some of the best VPNs for Kodi in 2017 and if you don’t already have one, we’re sure that article can help you find a VPN that meets your requirements. Once you have signed up to a VPN service, installing it is simple. Begin by going to the Google Play store on your Android TV or Kodi box. Type the name of your service into the search bar and once you’ve verified that the app really is what it claims to be, download and install it. Next, you’ll be asked for the email address and password of your VPN user account. Enter these, and you’ll be taken to a page where you can choose which server to use. From here you can select the country or city you’d like to connect to a server in. You can also connect to a specific server, or whichever is the best at the current time. Once you’ve selected a location, click the button which says Connect. That’s it–all of your internet traffic on this device is now encrypted and safe from the prying eyes of malicious third parties. You don’t have to sacrifice your privacy just because you’ve chosen to use a preconfigured Kodi or Android TV box. Now that you know how, you can connect your device to a VPN and browse media in peace without the threat of ISP snooping and throttling. More importantly, you can do so knowing that you’re protected from people who’d try to compromise your system and use your data for their own personal gain. In essence, a VPN funnels all of your network traffic through an encrypted network somewhere else in the world. Once connected, there’s no way for anyone but you and your VPN provider to know the sites you visit, the files you download, or the messages you type. Because internet service providers (ISPs) don’t encrypt their customers’ traffic, your traffic is significantly safer when using a VPN. Because your IP address can reveal some of your personal details like roughly where you live and who your ISP is, a VPN keeps you anonymized by assigning you another temporary IP address. Some VPN services take this concept even further and allow you to automatically change IP address at regular intervals. While a VPN encrypts all of your traffic, they aren’t infallible. It’s true that in most cases their encryption is too strong for an attacker to break, but government agencies are still capable of decrypting your traffic in extreme cases. That said, these agencies generally aren’t concerned with law-abiding, privacy focused users, so there’s little to worry about on this front. There is a technique hackers use called a Man-in-the-Middle (MitM) attack. 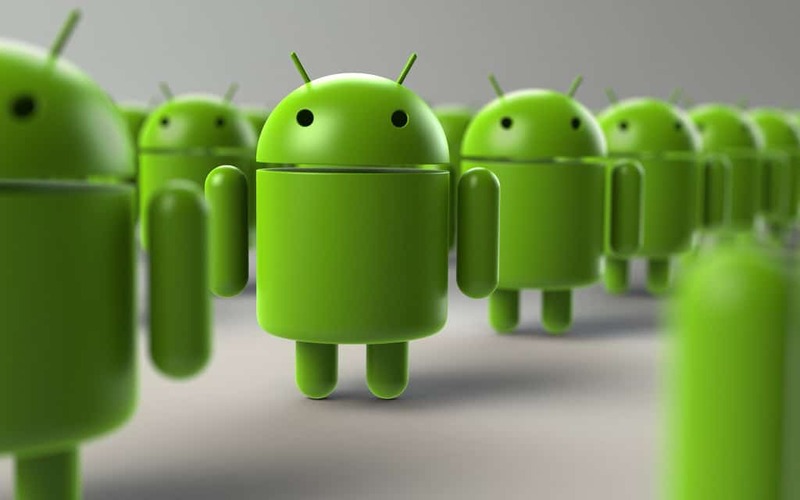 This allows them to intercept all incoming and outgoing traffic from your device. If you’re using a Kodi or Android TV box, they’ll have access to all of your search history and login credentials for streaming services. It’s possible that they could even install malware on your device which could infect other computers on your home network. A good VPN prevents this type of attack from happening in the first place, but even if your Kodi box is compromised, the attacker won’t be able to read the encrypted traffic reports. Even with a very powerful system, this kind of encryption would take several thousand years to break. Hackers aren’t the only people interested in your internet traffic, however. Some of the world’s largest ISPs have been caught limiting the internet speeds of their paying customers in an attempt to discourage them from streaming video online. This is a large part of what’s fuelling the net neutrality debate–there’s no reason why ISPs should be able to decide how you spend your time. Because your ISP only knows that you’ve connected to a VPN and cannot tell what exactly what you’re doing on any given site, they can’t automatically throttle your internet speed. Since your speeds are not being limited, any video you decide to play is less likely to stutter or buffer for long periods of time. In this regard, a VPN could actually improve your Kodi viewing experience. Many countries restrict access to specific websites. This may be done to restrict access to certain types of harmful material, but in countries like Egypt, it is also used to prevent citizens from reading news which shows the government in a poor light. As a VPN allows its users to connect to servers in a different country, it can be used to bypass all governmental website blocks in the user’s location. On the same note, a VPN can also be used to access geo-restricted content without actually being in the required location. For example, to access UK-only content, all a user has to do is connect to one of their VPN’s servers in the UK.